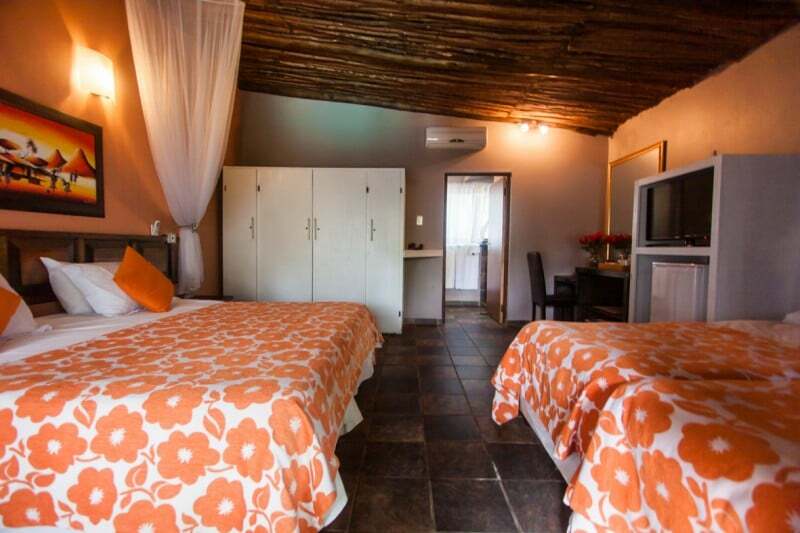 Umlilo Lodge offers a unique style of accommodation with its tropical garden setting. Wonderfully decorated rooms and large space to wonder in and around the property. Situated in near proximity to town and restaurants. Be sure to enquire at the info desk for any outings, departing daily. Be on the look out for the local hippos grazing on the open park opposite the lodge at night. St Lucia is situated a mere 2.5 hrs north of Durban, with easy access on the national N2 one is assured of wildlife and pristine beaches. Umlilo Lodge and its staff are incredibly welcoming and will assure that your next stay is a memorable one. 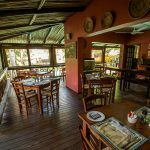 From Umlilo Lodge one can easily enjoy one of the numerous walking trails in and around St Lucia, visit the Crocodile center or enjoy a drink at the local ski boat club with some magnificent views of the Estuary. With 800 Hippos and 1200 Nile Crocodiles one is assured of some splendid sightings. Looking for some true South African culinary experiences, then why not join us at our Boma in the evenings for some super tasty treats. Enjoy a true South African braai (barbecue), babotie, potjie, bunny chow and some other super South African dishes. Should you like to join us then please do make a booking before 14:00 each day. Absolutely lovely in every way. The owner and his family are top notch in the hospitality department, as is the staff. St. Lucia and the surrounding parks are a Get Away From It All destination and the Umlilo Lodge was an equal haven. Very pleasant location and very helpful staff. Rooms spacious and good shower. Breakfast was plentiful with fruit juices, fruits, yogurts etc. as well as eggs cooked as you wished. We loved every minute at Umlilo Lodge. The room was spacious and clean with everything we needed provided. Surrounded by trees, birds and flowing water was a treat, and within walking distance of the hustle and bustle of town.